Alpine Guides Technical Manual is a distillation of state of the art mountaineering practice. Member feedback: Useful as a field handbook. Mix of photos and diagrams generally works well, some photos make it difficult to see the detail. 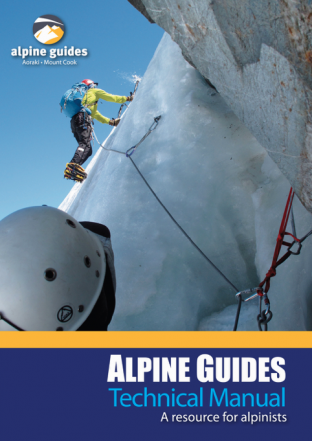 Good sections on snow shelters, weather, navigation and abseiling.